Image: University of Hertfordshire, taken by Pete Stevens. 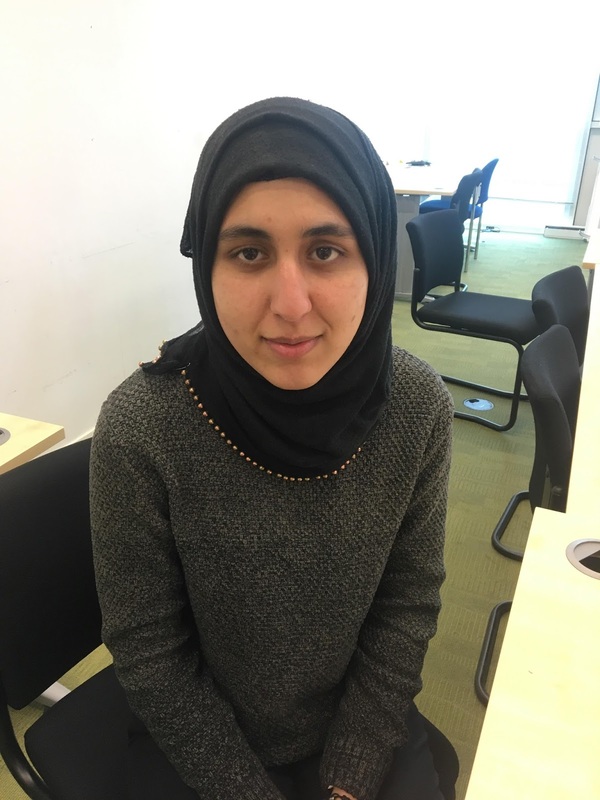 Hi, I’m Aroona, a University of Hertfordshire Humanities graduate who is currently on a short work placement in the University’s Marketing and Communications department. Today, I wanted to talk to you about my graduation day! I spent most of the summer excitingly dreading my graduation day. The stress-heightening period of dissertations, assignment and exams were finally over but the date: 7 September 2017, was a deadline that invited a new climax of relief and anxiety. The most alarming of all was how quickly three years had gone. The thought of graduating in my mind still seemed so distant. However, it all went by in a flash. One minute I was asking my sister to help me take my measurements when booking my robes. The next minute the ticket were printed. I even had a list minute dash to buy a dress. Once the day arrived I had a very welcome bring-it-on kind of attitude to the day. The wait was finally over. My main concern, unsurprisingly for England, was the weather as we all hoped to have pictures taken outside and dreary and wet just wouldn’t cut the family photo album. Thankfully the weather held up and as we also managed to reach The Alban Arena in time to see that graduates in robes, family and friends were already huddled around the various tents set up for the student-turn-graduate tour, so we could get ready for the afternoon ceremony. The real buzz was putting my robes on and the delight of it not being as heavy to wear as anticipated. The hat on the hand other took a bit of twiddling. Having photos taken professionally with my family was also quite a surreal experience – though unfortunately my makeup decide to run at that moment! The irony. We must have taken a hundred photos that day. The most remarkable moment for me was seeing the familiar faces of the people I shared seminars with dressed in their robes and realising how much of a journey we had come on to arrive at this moment. Even strangers approached me to offer their congratulations as I walked to St Alban’s cathedral. Sitting amongst all the other graduates was a truly humbling and inspirational experience and as I was designated to sit at the front of the cathedral my eyes were fixed to the stage. 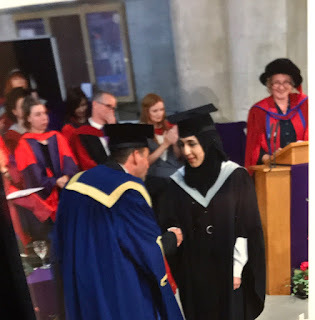 When my name was read out, signalling it was my time to walk to the stage, I remember praying not to slip in my heels, as I shook hands with the Deputy Vice Chancellor. It was such a pivotal moment, but it happened so fleetingly. The highlight of the day was throwing my graduate hat into the air with my friends, cheering and whooping, as they camenot so elegantly down on us. It was quite fun seeing how bad we were at catching our hats, but it made hilarious entertainment for our families standing by with their phones filming us. Afterwards we gathered at the arena again for refreshments, and a champagne glass of orange juice! Finally returning the robes was a wind down moment after such an eventful, long and reflective day. Going to graduation is an exciting and memorable occasion and made more worthwhile when you have people to celebrate it with. I’ll be glad to relax as one of the guest audience, however, when it comes to my other siblings’ graduations.